Today I am guest posting over at Mommy's Sweet Confessions. I am bringing over a sweet and crunchy snack that wont bust your budget, or your waistline! Cinnamon & Sugar Roasted Chickpeas! I've seen savory recipes for these bad boys, but I'm a sweets kind of gal. Leave a link to your newest/favoritest/healthiest/screw-this-diet-est recipe and go check out Mommy's Sweet Confessions! Tell her Susan sent you. Dry the drained and rinsed chick peas on a paper towel making sure to get any loose shells. I a medium bowl, whisk together the coconut oil, cinnamon, and sugar. Throw in dried chick peas and toss to coat. Spread chick peas on a lined baking sheet making sure they're spread out. Bake for 35-45mins, shaking pan every now and then to turn chick peas. When crunchy and roasty, remove from oven. 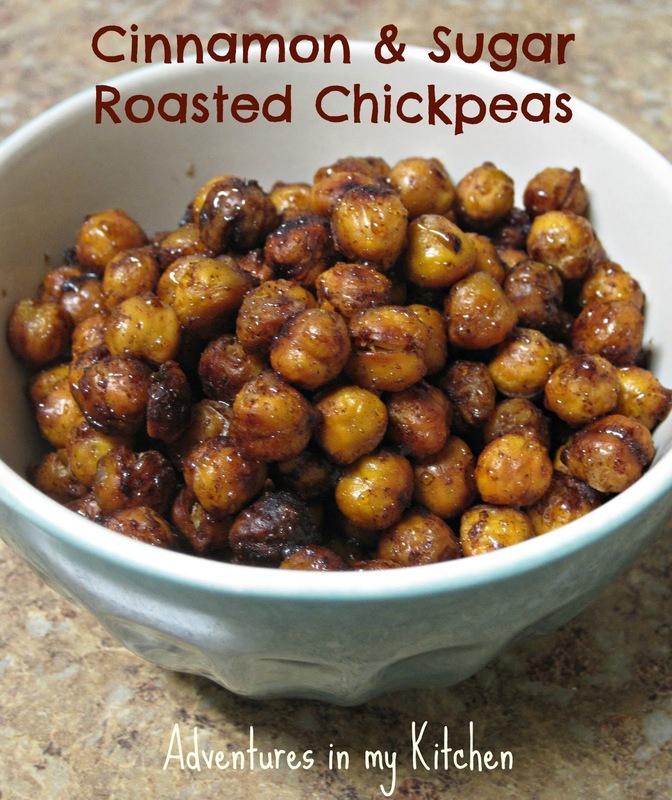 In a clean bowl, toss roasted chick peas with honey and then allow to cool and dry. Store them in an airtight container if you don't gobble them up right away! Hi, I found your blog through Grow Your Blog on Call Me PMc. I am your newest follower. A follow back to Carole's Chatter would be fantastic. Hope you are having a good week. I love this sweet snack and would like to try it. I have chickpeas at home so I'll cook them first.